I had hip surgery and am extremely pleased with the entire procedure. Dr Reeves is a very caring individual with a wonderful bedside manner. I was admitted to the hospital at 5:30 am and released the same day at 5:30 pm. I was walking up steps from day one and walking with a cane on the third day. i was able to walk without a cane in under 7 days. I used their in house PT department and able to walk with full mobility in less then 30 days. Please make the appt, you will feel much better. I scheduled my surgery with Dr. Reeves at my first visit with him. He was friendly, professional and explained what I needed in order to have a better quality of life. I am most grateful for the wonderful care that I received during every visit and encounter by Dr Reeves and all of his staff. I would like to thank everyone at Town Center for always doing their best to provide for their patient's needs so professionally and efficiently! Dr. Reeves was incredibly personable, friendly, and relatable. This was far and away the best doctor visit experience I have ever had! This is what medical care should look like! Dr. Reeves is very friendly. He went over everything with my husband and I about my knee replacement surgery. I have every confidence in him. Such a wonderful experience from start to finish. Dr reeves and his staff were very thorough/knowledgeable in all facets of the pre op process as well as the day of surgery. I am extremely pleased with the makoplasty that was performed. I have a new life ahead of me thanks to Dr Reeves...... Thank you so much for blessing me and my family!!! Dr. Reeves and his team have been outstanding. Fabulous communication and Clarity. I have my knee rebuild coming up in nine days and I feel extremely confident in his hands. I have 4 friends who have had knee replacements with him and they are all doing wonderfully and very happy. I've been under Dr. Reeves care for the past year and underwent total knee replacement on both knees last April. Dr. Reeves did a superb job on both knees and I am pleased with the results of the surgery. He and his staff are top notch! Dr. Reeves is highly skilled and has an excellent bedside manner. He always shows genuine concern for my welfare and takes the time to thoroughly answer any questions I have during my appointments. Hip replacement has been a journey. Each person is different so recovery will be different. I will say that after 7 weeks I am walking normally, my incision is healing very well. I am working on mobility every day and it is getting better. I do believe that Dr, Reeves expects perfection from himself when he operates and truly wants to make the life of his patient better. Being responsible for his patient's quality of life is a heavy load and I truly appreciate his taking this on. Love Dr. Reeves!! I was really feeling discouraged yesterday with my progress after a total knee replacement and Dr. Reeves helped put things into perspective and made me understand that I was actually doing quite well. His positive attitude and deep caring for his patients is wonderful and I would definitely recommend him to anyone who needs a great surgeon and a wonderful doctor!! I came from another physician who passed away and I was naturally leery about gaining a new doctor just before knee surgery. My experience with Dr. Reeves has far exceeded any expectations in both the original surgery two years ago as well as the second knee replacement just recently. I could not be happier with my care. I will (and have) recommend him to anyone that is in search of an orthopedic specialist. Dr. Reeves is excellent! He did an arthroscopy on my right knee a year ago, and I began experiencing increased pain and decreased movement in the same knee about 3 weeks ago; it took no time at all to schedule an appointment with him to examine that knee again last week. Thankfully it was just a flare up of arthritis and I received a cortisone injection and have been pain free since! Dr. Reeves is an awesome surgeon! He has replaced both of my hips and I could not be more pleased with the outcome. Dr. Reeves is caring and witty which is a rare find in a surgeon. I highly recommend him. He and his staff are truly the best at what they do. Dr. Reeves is top notch! I had a re-op apointment with my primary care doctor today and told him if any of his patients ever need an ortho doctor - go straight to Dr. Reeves - no one else. He did a revision on a partial knee replacement that was done quite improperly by another area prominent doctor. His care is the best. I'm actually looking forward to my second knee replacement by Dr. Reeves on January 25th. Outstanding surgeon, skilled with a wonderful personality. Dr. Reeves was professional and personable - a rare combination in surgeons. He took time to explain the nature of the hip replacement surgery, the physical dynamics of motion, risks and reassurance of recovery. Any questions I had he answered completely and professionally. I felt I received the highest, skilled care possible. Originally, surgery was scheduled in late January but the blizzard got in the way. The doctor called personally and let me know it would be rescheduled. From my first visit, he and his staff were attentive to my needs. He listened and answered all of my questions. I have recommended him to others who have been equally pleased with his abilities as a surgeon. If I could give more than 5 stars to him I would, in a heartbeat! 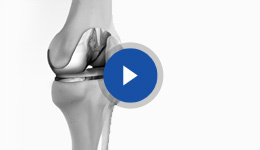 Dr. Reeves has consistently provided me with honest answers to the hard questions I had regarding solution to a previous left TKR which left me with a very loose and unstable left knee. He said he could fix the problem with a TKR Revision and he has. There was no pressure to do it; I had it done when I was ready. I so much appreciate Dr. Reeves' candor and support. I am very, very satisfied with my TKR Rev and enthusiastically recommend Dr. Reeves as a surgeon of choice for this surgery. I would highly recommend Dr. Reeves. He is thorough and knowledgeable. He treats the whole patient, not just the symptoms, and he explains what he is doing and why. He listens carefully and takes the time to answer any questions you might have. Dr. Reeves really listens to you and gets to know you, I had been dealing with an undiagnosed medical issue for years and no one could figure it out. I went to dr. Reeves and he got to the bottom of it on the first appointment and in 30 minutes. He is so knowledgeable and I tell all of my family and friends to switch over to him. I would recommend this doctor because he takes the time to learn about you and takes your various conditions and lifestyle into consideration before prescribing a treatment. I feel like he treats the whole person as opposed to merely evaluating a symptom and thus does a better job of finding the root cause of your issue as opposed to merely treating a symptom. He listens, is easy to talk to, and answers all your questions. Very friendly and caring! Did some test to make sure his diagnosis is correct! Highly recommend him. If you're interested in submitting a testimonial for James Reeves, MD, Please use the form below to do so.